A Wakari resident is ‘‘over the moon’’ as the Otago Regional Council looks to alter ‘‘dangerous’’ bus routes in the area. 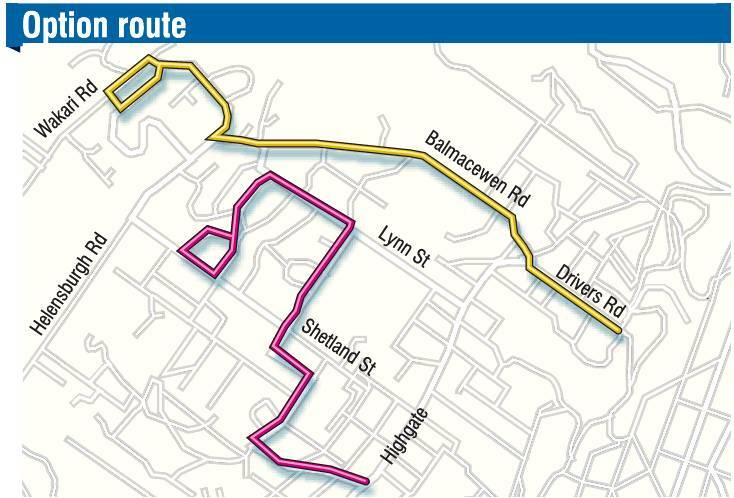 Residents of the Dunedin suburb pressured the council after it changed its bus route network in September. 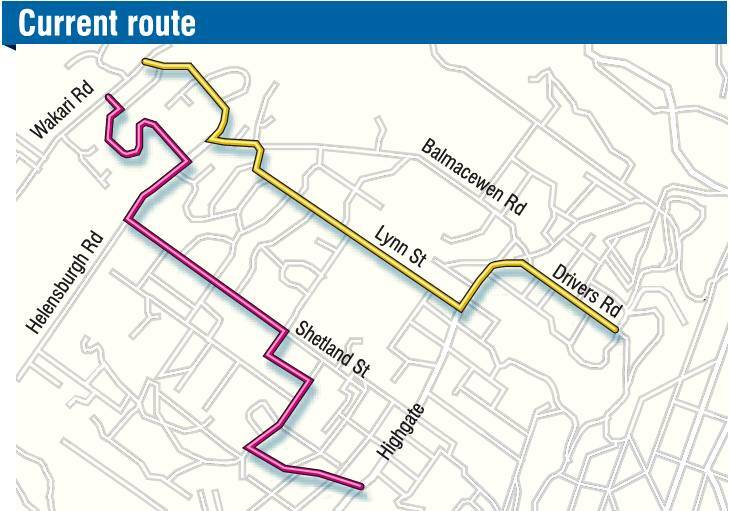 The new Wakari and Helensburgh routes traversed streets locals deemed to be too narrow and steep. A council-commissioned report by transport planning firm TDG, released yesterday, outlines five options for alterations on routes 33 and 50. Dunedin resident Andrea Irvine said she felt the council was ‘‘finally listening’’ to the area’s residents. The group of concerned locals have a social media page of about 90 people dedicated to the issue and held a meeting earlier this year attended by 100 people. Although she had not spoken to others about the report yet, her preference was for the option which removed all three problem areas the group identified. These were parts of Shetland St, Centennial Ave and Lynn St. The council preferred another option which removed the first two, but still included the steep section of Lynn St which contained Wakari Kindergarten. The council’s report said this was the preferred option as it meant the two routes did not overlap, which increased coverage. It would also be cheaper to run. The report acknowledged this option used the area of concern in Lynn St. This could be overcome by ‘‘the construction of bus bays and a new inbound stop near the Lynn St/Chapman St intersection’’, the report said. Since the network changed in September, residents experienced many issues arising from the ‘‘dangerous’’ routes, Mrs Irvine said. ‘‘There have been rubbish trucks driving up on footpaths to try to get around buses. On the second day there was a near miss with a child at Wakari kindy. The group of concerned residents provided the council with its preferred route. The TDG report said it ‘‘would not be achievable within the existing timetable, and more importantly, would reduce coverage and connectivity in the Maori Hill area’’. It would also trigger a policy which would require wider community consultation, since it would require significant changes to other bus routes, it said. Ms Irvine said the group initially faced a ‘‘brick wall’’ when dealing with the council. The council will make a decision at its meeting tomorrow. Bus routes overlapping is not necessarily a bad thing, as in some cases, route overlaps can facilitate transfers. What the ORC did wrong with the old Helensburgh route was try to fix something which wasn't broken. However, the new clock face scheduling and the uniformity of weekday, evening, weekend and public holiday routes are both significant improvements.